We need to mention Sony XBR55X850G and XBR55X800G as two options that we should consider if we are looking for 55-Inch 4K UHD TV in 2019. They are both introduced as basic 55-Inch 4K LED TV that come with affordable price. From their model number, we can find that Sony XBR55X850G is positioned as the higher model than XBR55X800G. Is there any reason to choose the higher Sony XBR55X850G? To answer that question, let’s talk about the differences between Sony XBR55X850G and XBR55X800G in this article. Sony XBR55X850G is the smallest screen size option that we can find for Sony X850G. It comes with 4K UHD Resolution that completed with Triluminos display and Live Color Technology to deliver wide color spectrum and lively color details. 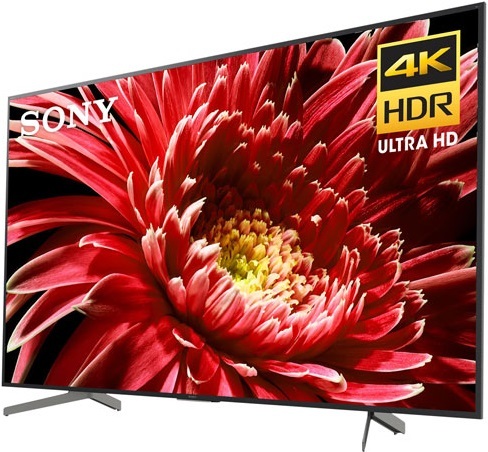 Sony XBR55X850G is completed with 4K X-Reality Pro as its picture engine that can deliver brilliant picture from both of original 4K content sources or non 4K contents that upscaled into near 4K picture quality. We can find Object-based HDR Remaster installed on this TV combined with Dynamic Contrast Enhancer as its contrast technology. Object-based HDR Remaster can reproduce greater depth and textures, while Dynamic Contrast Enhancer can improve the darkness of the dark part of the screen and brightness of the bright part of the screen. Sony XBR55X850G supports HDR10, HLG and Dolby Vision that allows us to enjoy enhanced details and expanded contrast from wide range of HDR content sources. The refresh rate of Sony XBR55X850G is Motionflow XR 960 that based on 120Hz native. It can deliver fluid motion images from our favorite action movies and sports while also allows us to experience non-lagging gaming scenes when we use this TV as our gaming monitor. The color, clarity and contrast of Sony XBR55X850G is optimized by 4K HDR Processor X1 that installed as the picture processor of this TV. Sony Android TV comes as the Smart TV platform of this TV. It allows us to enjoy wide range of entertainment from our favorite content providers with fast internet connection from 802.11ac wireless attached to this TV. We can also run wide variety of Android Smart Apps on this TV since It’s connected to PlayStore. Sony XBR55X850G is easily controlled with Voice Remote Control that included with it, while it also can be controlled by Google Home and Amazon Alexa since they are already compatible. The speaker system of Sony XBR55X850G is Acoustic Multi-Audio that use Full Range (Bass Reflex) x2, Tweeter x2 speaker configuration that can deliver rich sound quality. Additionally Dolby Atmos is also integrated with this TV (using firmware update) that can make the sound more beautiful. We can find Sony XBR55X800G comes as one of screen size option of Sony X800G. It comes with 4K UHD Resolution and 4K X-Reality Pro picture engine. 4K X-Reality Pro is able to deliver brilliant picture from both of original 4K content sources or non 4K contents that upscaled into near 4K picture quality. Triluminos display and Live Color Technology are also installed on this TV as its color technology. With Triluminos display, we can enjoy rich color with wide color spectrum while Live Color Technology brings lively color details. The contrast of this TV is also improved with Dynamic Contrast Enhancer that increase the depth of the dark part of the screen and the brightness of the bright part of the screen. HDR10 and HLG are supported by this TV that allows you to enjoy enhanced details and expanded contrast from those two HDR content sources. The refresh rate technology of Sony XBR55X800G is Motionflow XR 240 that based on 60Hz native. It’s indeed quite basic refresh rate for Sony’s 55-Inch 4K LED TV, but basically It still can deliver fluid motion images for most movies and sport scenes. Sony Android TV is installed as the Smart TV Platform of this TV. Sony Android TV is connected to PlayStore that allows you to run wide range of Smart Apps while also help you to enjoy large variety of premium entertainment from your favorite content providers. 802.11ac wireless is already attached to this TV to provides fast and stable internet connection. Voice remote control is also included with this TV to help you control this TV conveniently. We can also control this TV with Google Home and Amazon Alexa since they are already supported. The speaker system of Sony XBR55X800G is standard Bass Reflex Speaker. Although it’s quite basic but essentially it’s still able to deliver good sound quality. But if you are looking for more powerful sound from this TV, then you should attach your favorite soundbar to enjoy more powerful surround sound that can meet your audio expectation. The comparison table below shows us the key specs and features of Sony XBR55X850G and XBR55X800G. We need to know the specs and features of those two TVs before we can talk more about their differences. So let’s take a look at their specs and features together. There are few differences between Sony XBR55X850G and XBR55X800G as we can find from the comparison table above. Let’s talk more about those differences together. Sony XBR55X850G and XBR55X800G come with Dynamic Contrast Enhancer as their contrast technology. Additionally, we can also find that Sony XBR55X850G is also completed with Object-based HDR Remaster. Object-based HDR Remaster is able to reproduce greater depth and textures on the Sony XBR55X850G screen. Both of Sony XBR55X850G and XBR55X800G support HDR10 and HLG. So we can enjoy enhanced details and expanded contrast from those two HDR content formats. Sony XBR55X850G additionally also support Dolby Vision. With Dolby Vision, we can enjoy our favorite Dolby Vision contents in Sony XBR55X850G screen. Sony XBR55X850G comes with 4K HDR Processor X1 as its picture processor that we can’t find in Sony XBR55X800G. 4K HDR Processor X1 is able to optimize the color, clarity and contrast of the picture delivered on Sony XBR55X850G screen. With optimized color, clarity and contrast, we can enjoy better picture quality in Sony XBR55X850G screen. The refresh rate (motion enhancer) technology of Sony XBR55X850G and XBR55X800G are different. Sony XBR55X850G comes with Motionflow XR 960 that based on 120Hz native, while Sony XBR55X800G comes with Motionflow XR 240 that based on 60Hz native. While we can find that they both can deliver smooth motion images for most movies scenes, we can indeed experience more fluid and better input lag gaming experience when we use Sony XBR55X850G that used Motionflow XR 960 as our gaming monitor. We can find that the speaker system that installed on Sony XBR55X850G and XBR55X800G are different. Sony XBR55X850G comes with Acoustic Multi-Audio that use Full Range (Bass Reflex) x2, Tweeter x2 speaker configuration, while Sony XBR55X800G comes with Bass Reflex Speaker that use Full Range (Bass Reflex) x2 speaker configuration. with Acoustic Multi-Audio speaker, Sony XBR55X850G is able to deliver richer sound quality than Sony XBR55X800G with standard Bass Reflex Speaker. Sony XBR55X850G is also completed with Dolby Atmos (with firmware update) that can make its sound more astonishing. Since Sony XBR55X850G comes as the model that positioned higher, it’s also easy to guess that it’s also offered at the higher price as well. How much is their price difference? We can find that TV prices often change from time to time. So it’s recommended that we check the price of Sony XBR55X850G and XBR55X800G to find their latest price difference. 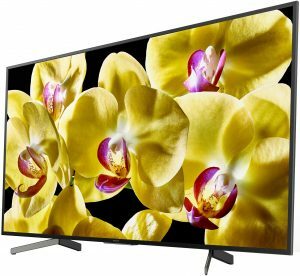 Why Should You Choose Sony XBR55X850G? We can find that Sony XBR55X850G is the model that positioned higher than Sony XBR55X800G. What’s the reason to choose Sony XBR55X850G? From our discussion above, We can find that Sony XBR55X850G comes with better contrast with Object-based HDR Remaster, better picture optimization with 4K HDR Processor X1 and more fluid motion images with Motionflow XR 960 so that we can expect better picture quality in Sony XBR55X850G screen. We can also enjoy Dolby Vision HDR in Sony XBR55X850G since it’s already supported. Sony XBR55X850G also comes with better speaker system that can deliver richer sound quality. So if you are looking for better picture quality, Dolby Vision support and richer sound quality while you don’t mind to spend higher for that, then you should choose Sony XBR55X850G. Sony XBR55X800G is the more affordable 65-Inch 4K UHD TV that you should choose if you have more limited budget. Although It doesn’t come with Object-based HDR Remaster and 4K HDR Processor X1 while also completed with less advanced Motionflow XR 240 motion enhancer, It still can deliver good picture quality with 4K X-Reality Pro that completed with Triluminos display. We can also still enjoy smooth motion images with Motionflow XR 240 for most scenes. We can also still enjoy HDR10 and HLG HDR in Sony XBR55X800G since they are already supported. We can also attach additional soundbar in Sony XBR55X800G if we are not satisfied with the sound from its Bass Reflex Speaker. So when you have less budget, I’m sure that Sony XBR55X800G is a good choice for you.